Most e-cigarette companies offer a range of starter kits to suit customers budgets and needs, but SmokeTip does things a little differently. 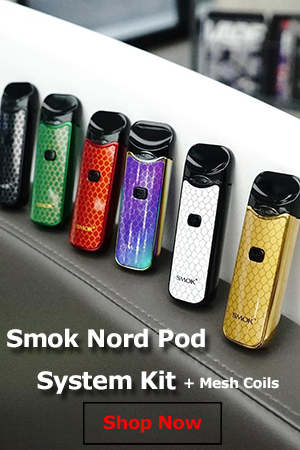 It sells just one starter kit, which comes with all the basic vaping necessities, so if you’re looking for accessories like a car charger or portable charging case, you’re going to have to buy them separately. Anyway, this single type of starter kit comes in the ugliest box I’ve ever seen used by an e-cig supplier. It’s made of cheap cardboard, it’s way too large and apart from the oversized “SmokeTip” logo on the lid, it features no other information on what’s inside. The inside of the box is just as bad. The batteries, cartomizers and accessories are all placed in a plastic holder covered in fake suede that just makes the whole kit look cheap. This might have been the norm five years ago, but the e-cigarette industry has come a long way since then and all the big companies have learned that presentation and first impressions count for a lot. Let’s take a look at what you get with your SmokeTip e-cigarette starter kit: 2 small batteries (automatic only), a 5-pack of cartomizers, a USB charger and a wall adapter. Like I said, only the basic things you need to start vaping, if you want more, you’ll have to get them separately. The starter kit will set you back $59.99, a pretty hefty sum, considering you don’t even get a high-capacity battery with this package. It hurts to say it, but SmokeTip had the least impressive packaging and presentation of all the electronic cigarette brands I’ve ever reviewed. They seriously need to get with the times if they hope to remain competitive in the long run. As I mentioned, SmokeTip only offers short automatic batteries. The white ones I got with my kit had those thin rings you can see on analog cigarette paper and even a grey plastic tip that lights red to emulate burning tobacco. The tobacco cartomizers are also colored a light brown, so it’s pretty obvious they were going for a realistic cigarette look. I guess some smokers will appreciate that, but it doesn’t change the fact that small 180 mAh batteries like these aren’t going to hold you for very long. The good news is they are KR808D, and not some outdated model, but the short version is obviously not as long-lasting as the 78 mm version that other brands sell. I get an average of 200 puffs out of a fully-charged battery (two hours time, for me) so even two of these will probably won’t last you a whole day. If you want an e-cig the size of a real cigarette, you’ll just have to buy more batteries. In terms of performance, I’ve encountered no serious problems during testing. The switch is very responsive, and the cutoff time is 7 seconds, more than enough for any lungs. 5 seconds is usually enough for me, but 7 is even better. The only issue I can think of is with the air holes. They’re probably a bit too large and a lot of air comes through very quickly, filling your mouth before the atomizer can produce enough vapor. Back when I first started using e-cigarettes, vapor was the most important thing for me. Since then I’ve learned vapor alone doesn’t cut it for an ex-smoker. If the flavor and throat hit aren’t on par, those plumes of vapor aren’t going to be very satisfying. That said, vapor production remains a crucial element of the combination that makes electronic cigarettes so efficient as an alternative to analogs. Unfortunately, you won’t get much of it puffing on a SmokeTip e-cig. Despite using one of the most advanced batteries available today, it only produces a wisp of vapor. You really have to prime the atomizer a few times and then take a really long draw in order to get a somewhat satisfying amount of vapor. It’s really not worth the effort with so many other great electronic cigarettes available out there. At first I thought the low vapor production had something to do with the airy batteries, but then I tried using different cartomizers, and what do you know, I got great vapor. But we’ll get into that in the next section. Bottom line, the SmokeTip produces very little vapor. SmokeTip offers a range of 19 flavors, including two types of tobacco – Regular and Cowboy. You also have the classic chocolate, vanilla and menthol, as well as almond, clove an lots of fruity flavors. Variety is always good, but the quality of the juice is much more important. Unfortunately, SmokeTip’s e-liquid is nothing to write home about. It doesn’t have a bad aftertaste, but it’s not very enjoyable, either. It’s your run of the mill e-juice, and the flavors are actually weaker than most other I’ve tried. Even when I used the cartomizers with a stronger battery and managed to get some satisfying puffs, the flavors were just as bland. To make matters worse, I got absolutely no throat hit with the 12 mg nicotine strength, and SmokeTip’s highest is 16 mg. That’s just not enough for serious smokers used to Marlboro Red or Lucky Strike, for example. As I mentioned before, the vapor production on the SmokeTip is pretty disappointing and I think it has a lot to do with the cartomizers. The batteries work fine with other KR808D cartos, like Bloog’s, but the ones offered by SmokeTip just ruin the whole vaping experience. Some of them produce little vapor, and others none at all. I had two variety packs for this review, that’s 10 cartomizers, and I can honestly say none of them worked as I expected them to. I don’t know if it’s the resistance of the atomizer, the e-liquid or something else, but these cartomizers are a pain to use. SmokeTip may have been “the most electronic cigarette in the world” at some point in time, but those days are long gone. 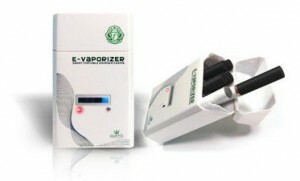 The industry is evolving at a fast pace, and right now this particular e-cig is lagging way behind right now. The only relatively good thing about this kit were the batteries, which performed pretty well, although a longer version would have been very nice, otherwise, poor presentation, basic contents and awful cartomizers. I’m sorry but I can’t recommend this kit to anyone. I have nothing against SmokeTip, they actually sent me this kit for review, I’m just being honest. BUYER BEWARE!! 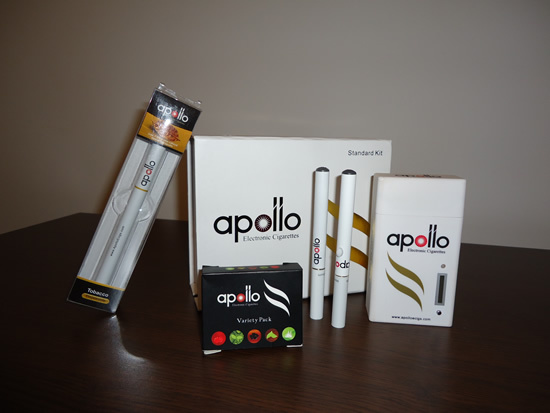 I just purchased the starter kit and ordered the Regular flavor 16mg cartridges. I received the order and eagerly opened a cartridge and tried the product. To my dismay they sent menthol. I contacted customer service and they said that even though it was their mistake they would not exchange the cartridges because it was opened. I explained that I opened it not knowing that they sent me the wrong thing; even the receipt had my correct order. I threatened to return the entire product if they didn’t accommodate me and they said the “owners won’t exchange an opened package” and get this!! they are going to take $10 out of my product return for the open cartridges!!! Suggest “Wake up, Oh Yee Consumer” — the cigarette industry is not/has never been your friend. If it’s ‘courtesy’ you are looking for, try the airlines. BEWARE OF SMOKETIP!!!! THEY ARE INCONSISTANT AND HAVE AWFUL CUSTOMERS SERVICE. IT IS NOT A GOOD PRODUCT!! In the beginning the customer service was much better than it is now. Worse is they come up with one excuse after another for their errors. I won’t be dealing with them again. I am on the east coast same as they are. I placed an order Friday at 1pm and Monday at 11am I receive a notice telling me they made a shipping label. According to post office — that’s all they have done. The company insists they were shipped. They really are inconsistent in service and inconsistent with the product. In the heat, the cartridges evaporate because of the heat in our area. Prices are NOT competitive. The worst web site ever. I opened up an account and got an id and password. Several days later I went back to the web site to sign in and order something. It didn’t remember me. I wrote their helpless desk. They said because I didn’t place an order in the first 24 hours my account was closed!! What?! Why?! I belong to a dozen other ecig sites and none of them close you out for not ordering in the first 24 hours. Why do this? Makes NO sense. Their help desk is outsourced too. Don’t even know where Smoketip is from. No info anywhere on the site. I think it’s a shell of a company with an outsourced web admin. Horrible responses to any of my questions. Too many other companies with professional web sites and help desks to go back to this low rent site. Last night I plugged my battery into its wall charger as usual and went to bed. At 5am I awoke to a horrible smelling smoke filled room and a loud pop sound. I checked and found the wall was scorched and the battery was extremely hot to the touch, so much that it burned my finger enough to blister it. The top had blown clear off and the entire battery was brown. I have no doubt that if I had not woken up that my house would have caught fire and my family could have died! So today I emailed the company and they replied with computer-like lack of compassion to the incident saying “our batteries do not have enough power to cause a fire” and told me to just check out their policy about returns and guarantees. That means that if I want a replacement for this battery that I recently purchased, then I have to send it back and then buy something off their site or pay almost $10 for shipping to get the replacement. That is totally unacceptable and shady in this case. A good company would have sent out a replacement battery without me having to purchase anything more. How much trouble would that have been to them? But instead, they stick to their policy and think like a computer instead of a compassionate human being. They are lucky all they are losing is this customer because if a fire had started, they would be dealing with a lawsuit! I have tried 2 of this company’s disposable E Cigars. The first one was fine, but the second one arrived with a dead battery. Didn’t work at all. I was told the disposables were not replaceable or refundable. Understandable, I guess, but at $20.00 each it’s too much of a crap shoot. After being with this company for a few years and always having problems with them I’m DONE, I have the same complaints that I see already posted, totally agree with every post on here, shady company, I have even sent my batteries back to be replaced, and ofcourse had to place an order to get my so called free battery replacements, then they claim to never receive the batteries, that has happened twice. This company makes many mistakes and the customer is NEVER RIGHT, so I have taken my business elsewhere. Have used this product for years now. Have had issues in the past. Customer service is horrible. They do not help much on top of that they are rude and reply with an attitude. I bought 3- 10 packs of cartridges. They were bad and the company refused to replace them. Wow, I have never had issues with smoketip even once, well actually the usb pass through got old and was well abused, after about a year and a half I was recieving little shocks when it would touch my lips but I also had held it hard with my teeeth and bent it, I had chewed through the coating. This review is terribly inaccurate to the point that I am curious if it is owned by another e-cig company. I have used smoketip off and on for many years and to this day it is the best I have ever tried in terms of flavor, vapor, and just feeling more like the real thing. Compared to blu cig, it has better flavor, battery lasts way longer, and it produces way more vapor. I have tried many other brands and they all have failed so far. Smoke-tip may not be for the vapor junkie, that is, those that vap more than you would smoke. Smoketip is for those converting from real cigarettes. Becoming a vapor junkie is easy to do because you dont get the sore lungs issue you did with real cigarettes. You tend to sit there constantly vaping all the time. The vapor junkie will need the ecigs and ecigars with tanks or possibly the pipe shaped ones. I still have batteries that are years old and they are working just fine. Also they are best bang for the buck, a kit is around $50 and it comes with 2 batteries, 5 carts, and the charging usb port and wall charger. They also give away extra chargers and batteries with bulk orders as well as have bulk discounts. I agree with your post – I quit a 43 year habit with smoketip.com beginning on March 31, 2010-and still use them now over five years later. They have offered me excellent customer service from day one and even credited my account and refunded me a dollar because of an error I had made and they corrected the problem quickly and sent me the product I had wanted to begin with. Their customer service has been amazingly prompt and highly courteous. I also suspect these negative reviews may be false. I’ve given smoketip.com kits to friends over the years and never had one person have an issue. Please do yourself a favor and try for yourself! or you have lost a good customer forever. Johnny, did you notice the Tobacco flavor has changed? BULLCRAP! Get a vape from those who have CS – this firm does not and they nickel and dime the crap outta you and take FOREVER to handle any matter. I CANT WAIT UNTIL THE REAL TOBACCO FIRMS GET INT THE ACT! More so, SmoKetip claims a cartridge is equal to a pack and half of cigarettes? THEY ARE DREAMING AND YOU ARE A FOOL TO BELIVE IT. March 7, 2014 We’re finished with these people. I also want to add that the review posted by Vanquish is clearly without merit. Funny that they are the only person with something positive to say and yet, they accuse the writer of the review as being a competitor. Regardless if that is the case or not, if you read all the other reviews, the facts don’t lie. We could all say that you are an employee or somehow related to the company at question. I’ve been doing business with SmokeTip.com for 3 years. Until the past year I’d been fairly satisfied with their product and service. During this past year, I’ve had more and more product concerns. I find that out of every order I’ll get several “dead” cartomizers. Of course, per their Terms and Conditions, once you open one foil pack – you’re stuck with all 10, no returns even for product failure. My last order was for 6 boxes of cartomizers. The order arrived and all 6 boxes appeared to be stale. I tried vaping several from the first box I opened and they tasted stale. I wrote their customer service and was told that none of their product is over 2 weeks old and couldn’t be stale. We opened a couple of the cartomizers and they looked brown and stained on the inside. At the least, old. My husband said they looked like used, refilled cartomizers. I decided to return the 5 unopened boxes, including the free battery, wall/usb charger. I paid $5.25 return postage only be told they were refusing the RMA because one of the foil packs in one of the boxes had been broken. NONE of the foil packs had been broken when I packed up the product for return. They had been referred me to their Terms and Conditions policy several times and, in any case, I’m aware of their rules for return so I was very careful to be sure none of the packs had been opened. They obviously broke one of the packs in order to refuse my return. OK – they stuck me with the entire cost of this entirely unusable order. But they won’t get another dime of my money. Don’t do business with this company. Their product quality is declining – their customer service is rude and arrogant and they’ll cheat you. Hmmm, with two 5 star reviews out of 20. That suggests to me that these two 5 star reviews are fake. Out of these 20 reviews, 17 are 1 star or less with the remaining review at 2 stars. I totally agree with this customer. This company was better a few years ago. I decided to try e-cigs again, and after being disappointed by Blue, I gave this one another shot. The cartridges are strong flavored and have good vapor, when they work. However, they have a very strong under-lying chemical taste that leaves a bad taste in your mouth. Free Batteries with your order are a joke. They never work. Their return policy, non-existent. It’s an ‘if you pay us for entire order again, we will ship it’ policy. All of the reviews on their web site, are OLD. Only one positive review from this year. DO NOT order from this company. I never write reviews, but this poor purchase choice forced me to share my feelings. This company’s support desk lies about offers when you ask for details on how to use them, and changes content on their website before replying to you. Absolutely horrible customer service. I’ve bought at least 3 Kits from SmokeTip and 3 or 4 ten packs of cartridges. I pretty much started vaping with this outfit. It wasn’t until 6 months after doing some searching that I found that their Kits were way overpriced and really wasn’t happy with the flavors they offered, and have since been buying elsewhere. That is until I received an e-mail introducing their “SmokeTank”. Which brings us to the present day. As I mentioned, SmokeTip just came out with this product. I thought I’d try this method of vaping just for comparison to regular E-Cigs if nothing else. The next day after receiving the tank and filling it, my fingers were getting oily from using the Tank. After a couple of days I narrowed the leak down to a factory seam where the clear tank meets the metal housing. I get a RMA from SmokeTip and instructions to send SmokeTank only. Ok, so I take that to mean, don’t send the battery and just send the tank back, and so I did. I get an email a few days later stating: “We will returning for exchange Tank only – what you included was additional parts ( spring tip, atomizer, air flow chamber ) etc. This is what was requested and all that will be returned for exchange”. (The grammer error was on their part). If SmokeTip was explicit in their first email as they were in their second as to what and what not to return, their would have been no problem. I received the tank back without the above mentioned pieces. Of course the SmokeTank is totally useless w/o those parts being returned to me. Refusing delivery it went back to them the next day. I suggest that people reading this SHOP ELSEWHERE. Their’s too many customer friendly sites out here for us to be putting up with their garbage, that includes their products. The absolute worst and rudest customer service people I have EVER dealt with. They will insult and outright call you a liar! Have used these for several years and the quality of the product has steadily declined. Customer Service is a JOKE! !Would give a -one star if I could. have been buying smoketip for three years..was satisfied until order placed today..no longer do they send free a white battery..one has to accept a chrome with a blue tip..who in hell ever smoked a chrome cigarette with a blue tip..needless to say will look for another e cigarette.. I have been using smoke tip for a few years and have to say I have been satisfied. I have to admit it is the only e cig I have tried. I am a little baffled by all the negative reviews and may try another product. I have to say though I Did once have a defective battery replaced without a problem and their shipping is very fast. My batteries have lasted a reasonable amount of time, no battery lasts forever. I wish they had a 18 or 24 mg cartridges and would work on the tobacco flavor but I overall have been happy with them. I’ve been buying ecigs from Smoketip for a long time now. At fist I as very pleased with the product. Free batteries and discounts for the more I buy. But the last six months I have gotten cartridges that were already open, some taste burnt like already smoked and others the cartridge was hot as soon as it was connected to the battery and could not vape on it. Usually 5 packages would last me 6-7 weeks. I am running low and looked to see when my last order was placed and it was only a month ago. That is how many bad cartridges I got. I wonder if someone who is filling them and packaging them is vaping them first. Oh and many had leaked even though the plastic seal things were on them. I am very disappointed. I kept buying from them the last six months thinking things would improve but it only got worse. So goodbye Smoketip. You just lost another customer. In addition to making an adequate product, customer service is horrible. They activated a new web page. I can’t log on because my e-mail address is no longer in the database. They began a rewards program. They don’t say when it began or how many dollars spent earns how many points or the value of the points. There was on very informative piece of information. “THE MORE YOU SPEND, THE MORE POINTS YOU EARN.” I thought they may have been more creative and started a rewards program where “THE LESS YOU SPEND, THE MORE POINTS YOU EARN. Customer service was of no help. They didn’t know when the program began or how it worked. They did know that the more you spent, the more points you earned. I have been a customer for six years using the cartridges. At least one of five cartridges is a blank. No smoke, NOTHING!!! I brought this to their attention and they said they can’t be responsible for the failure of the cartridges and stated that that is spelled out in their policy. 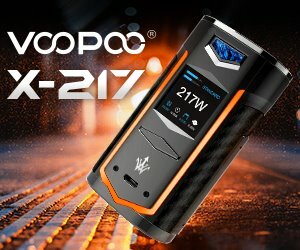 I was considering upgrading to a Vapor type, but would not recommend Smoke Tip just based on poor customer service. Smoketip, you just lost another customer.